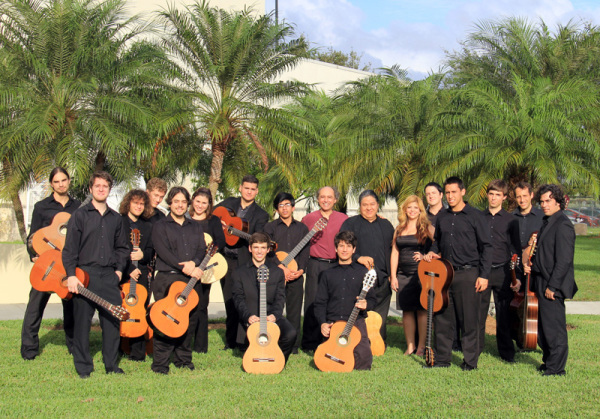 The Miami International GuitART Festival (MIGF) is organized and sponsored by the Florida International University School of Music, which is a not for profit public institution. The MIGF aims to bring world-class musicians, teachers, students, and luthiers together with the audiences in Miami for public concerts, masterclasses, and lectures, as well as a composition competition and luthiers expo. We would be grateful if you consider contributing to the festival with a tax-deductible gift and help us match the required dollar-to-dollar fundraising for our grants, including the NEA, Florida State, Miami-Dade County, and Knight Foundation grants. All contributions, whether large or small, will help us continue to expand future festivals, provide scholarships and prize awards. As a donor, your gift is a direct investment in advancing arts in Miami, as well as in the development of new repertoire for guitar.In appreciation of your support, the MIGF offers a variety of benefits available at various levels as indicated below. 2. notifications of Festival news and events. 4. a reception with the artists. 7. priority seating in all festival events. 11. an optional display table at the Luthiers Expo. 14. a space for a full page color acknowledgement in the Festival Program Book. Note that your contribution may be considered tax deductible, where allowed, to the fullest extent under the law as allowed by IRS regulations. Any and all net proceeds from this event, after payment of associated expenses, may be used to support guitar initiatives through the FIU Foundation, Inc. The amount of your contribution that is deductible is limited to the excess of your contribution over the value of the goods and services provided to you. In accordance with Foundation policy, the Foundation may assess a one-time Advancement Initiative Fee in the amount of 3% of the Gift (“Initiative”) to support the University’s general fundraising and capital campaign expenditures. The Initiative will be collected with the first installment of the Gift (and any subsequent installment, if necessary) in order to fulfill the Initiative as soon as practicable. To request materials in accessible format, sign language interpreters, and/or any disability accommodation, please contact the FIU’s Office of Equal Opportunity Programs & Diversity (EOPD) at 305-348-2785 two weeks in advance to initiate your request.